Adaptation of the popular video game. Unlike comic book readers, who are often reluctant to criticise big screen adaptations of their beloved graphic novels, gamers seem to have no qualms with calling out the many failed cinematic cash-ins that have asked them to insert their collective coins. Everyone from the most high-brow critics to the most easily pleased popcorn consumer is united in the belief that we've yet to see a great video game movie. Cinema-goers have been offered everything from Super Mario Bros to Warcraft, and the results have been mediocre at best. But like a kid determined to conquer that machine at the local arcade, Hollywood continues to pump its change into a slot that offers little in the way of artistic or financial reward. Assassin's Creed has found itself billed as the great hope, the movie that would finally see video game adaptations come of age. It boasts a respected director whose previous film was a widely acclaimed Shakespeare adaptation (Justin Kurzel), its cast is one of 2016's most impressive line-ups, and its historical setting seems custom made for cinematic spectacle. A pre-credits cold open introduces us to the titular Assassins in 15th century Spain. Believing in free will to the degree of laughing at such concepts as morality and law, they're essentially a libertarian extremist terrorist group, determined to free Spain from the tyranny of the Knights Templar. Initiated Yakuza style into this not so merry band by having a finger lopped off is Aguilar de Nerha (Michael Fassbender). Post credits we meet the Fass once again, but now in the 2016 guise of Callum Lynch, an Irishman put to death by lethal injection for the murder of a pimp. Callum is surprised to awaken in a huge facility in Madrid (right across the street from Atletico Madrid's stadium) run by Alan Rikkin (Jeremy Irons) and his vaguely 'scientific' daughter Sophia (Marion Cotillard). They inform Lynch that he's the latest in the bloodline of Aguilar, and strap him into an Avatar type contraption that puts him in the head of the 15th century assassin. The plan is to use Callum to locate 'The Apple of Eden', an artefact that controls the secret to free will. It's at this point you may consider exercising your own free will and walking out of your cinema. Kurzel's adaptation is a gruelling slog that spends so much time attempting to create a narrative from its limited source material it neglects to offer us anything we might become emotionally invested in. The characters, though played by some of our finest working thespians, are a bunch of blandly written dullards who float through the film with all the expressiveness of a generic League Two squad player on FIFA 2003. The 15th century set action scenes are quite well put together, but the decision to keep cutting back to present day Callum and reminding us that we're merely watching his simulation kills any momentum these sequences might have generated if left to play out uninterrupted. The film's only positives come from two of Kurzel's regular collaborators, his brother Jed, whose muscular score has a lot more personality than anything on screen, and cinematographer Adam Arkapaw, who ensures the film's many derivative images boast a gritty sheen. 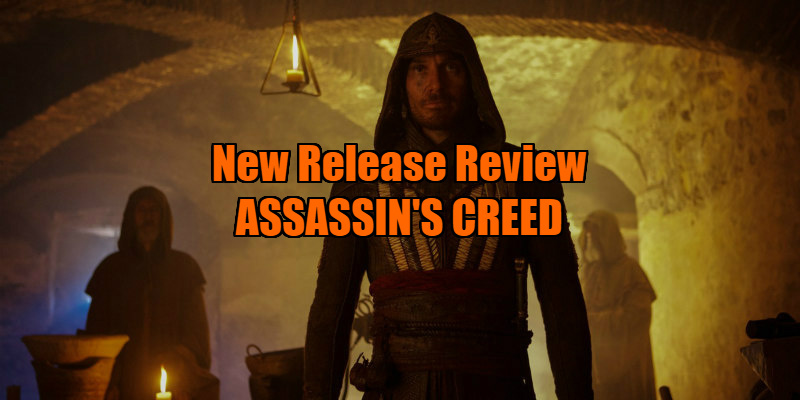 Despite working with a budget rumoured to total close to $200 million, Kurzel has delivered a video game adaptation sorely lacking in scope, an overly verbose movie that's heavy on keyboard and light on joypad. Somewhere, Uwe Boll and Paul WS Anderson are high-fiving. 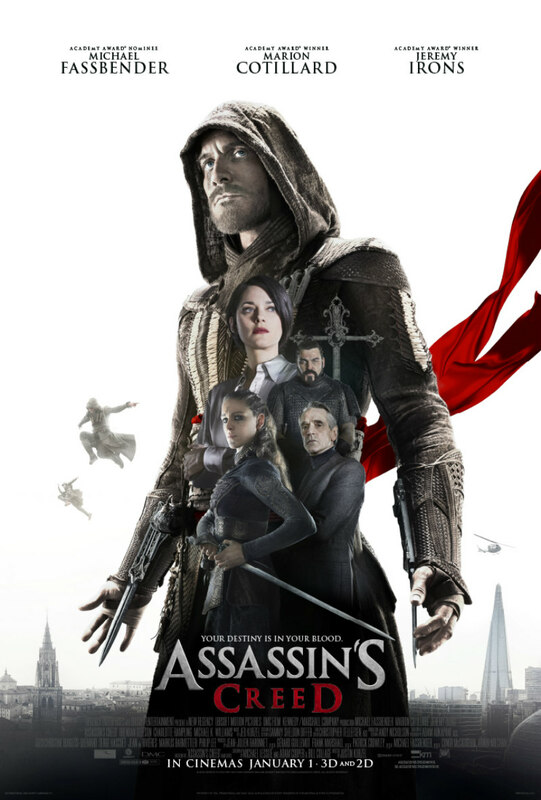 Assassin's Creed is in cinemas January 1st.